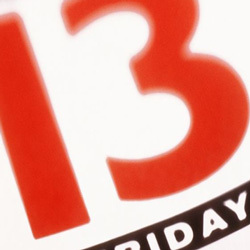 Friday the 13th has long been associated with bad luck, but not for one lucky player at Miami Club Casino. The day after opening her new account, Catherine S. from Arizona hit an $18,162 jackpot. Miami Club offers all players a 100% match bonus on their first eight purchases, so Catherine's first deposit of $35 was doubled. Catherine played for a little while on her first day, but had no luck. The the next day, Friday the 13th, she decided to give it another go since Miami Club's Friday bonus offer was 25 free spins plus 150% bonus on a purchase of credits. She dropped a few more dollars, and gave the progressive jackpot slot games another try. Her very first spin, on a bet of only $0.75, Catherine triggered the progressive jackpot on Ultimate 10X, part of the WGS Wild X series of slots. That one amazing spin paid $18,162. "We're delighted for Catherine, this is the sort of story we have to share," said Linda Hernandez, casino manager at Miami Club. "The date, the single spin win, the massive jackpot from such a tiny bet -- it makes you believe in fate!" 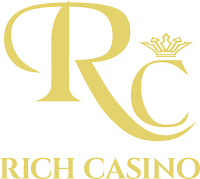 Miami Club is well-known for its frequent one-day, seven-day and month-long slots tournaments which can be played on iOS, Android and Windows mobile devices as well as desktop or laptop computers. For a limited time only, new players receive a 200% sign up bonus plus 50 free spins on the Cool Bananas slot game (coupon code: BANANASPINS). "Progressive jackpot slots are like buying lottery tickets for me," said Catherine. "I don't bet a lot, not big amounts. But with these games, someone has to win and I'm happy to be the proof! I'm still amazed it happened on the first spin on the game. I had to double check to make sure I wasn't seeing things! I've also decided that Friday 13th is my lucky day!" 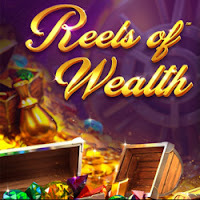 Intertops Poker and Juicy Stakes Casino have announced the release of Betsoft's new Reels of Wealth. This new slot will be the casinos' Game of the Week next week, so active players get 10 free spins. Built on Betsoft's "Rolling Wins" platform, its Megastar Jackpot Feature can pay out one of four jackpots. The “Rolling Wins” platform gives a re-spin with up to 3X prize multiplier after every winning spin. If you have made a deposit between March 29th and April 29th, 2018, you qualify for the free spins, where you can win up to $250. (Free spin wins are subject to a 30X wagering requirement played on any Betsoft games except Wheel games, Craps and Roulette). Three or more Megastar Jackpot symbols trigger a bonus game where the reels become surrounded with gold and jewels worthy of such a momentous event. You collect special Jackpot symbols to win one of four incredible jackpots. As the special jackpot symbols fall into place they explode, allowing other symbols to cascade onto the reels. Reels of Wealth has a Multiplier Wild which can stack with other Wilds for even bigger wins. Any win that includes a Wild symbol pays double. Two Wilds pay out 4x. Scatter wins multiply the total bet, up to 2000x. Reels of Wealth is found under the Betsoft tab in the Casino section of the poker room. Until the end of the month at Slots Capital Casino, get up to 70 free spins on Rival Gaming's new game-show-themed slot, Plunk-Oh. You can get 20 free spins on the new game if you have made a recent deposit and another 50 free spins with another deposit. Fantastic game show prizes spin on Plunk-Oh's three reels: a gold watch, cruise tickets, a motorbike, a gold ring, a sports car, a luxury boat and a stack of cash. The Plunk-Oh logo is Wild and triples the payout for any winning combination it's part of. You can bet one, two or three coins per line and bet on one to five lines per spin. "I love TV game shows! And combined with slots action, they're even more fun and rewarding!" said Slots Capital's blogger, Slots Lotty. "Plunk-Oh gives you the chance to be one of the lucky audience members to be picked to spin the reels and claim some very hefty payouts!" Lotty has more on the new game in her casino blog: https://www.slotscapital.lv/blog/casino-news. Available until April 30, 2018 only. Wagering requirement for these bonuses is 60X. 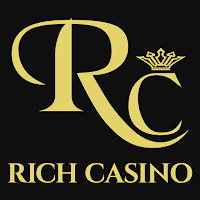 Slots Capital has a huge selection of unique slot games from Rival Gaming as well as table games like Blackjack and Roulette. 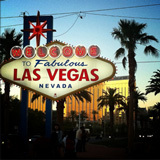 The full-featured casino welcomes players from all over the world. 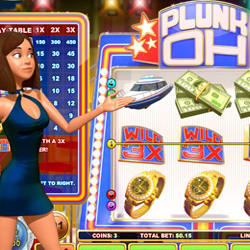 The new Plunk-Oh slot is available in Slots Capital's download and instant-play casinos for desktop and laptop computers and in the mobile casino for smartphones and tablets. 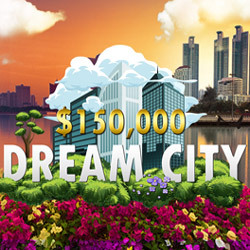 Until May 28th, you can compete with other Intertops Casino (http://casino.intertops.eu) players for $30,000 in weekly prizes at during the $150,000 Dream City bonus competition (http://casinopromotions.intertops.eu/dreamcity). Every week, the players with the most points get up to $500 each. You earn points when playing online slots and table games. 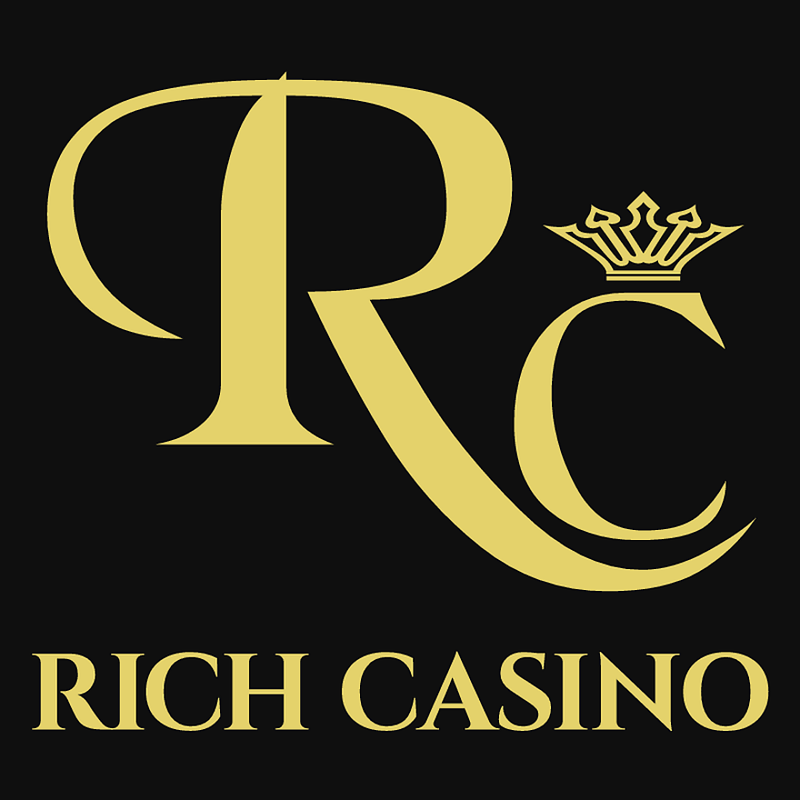 Earn frequent player points on your desktop or laptop computers or in the mobile casino (https://casino.intertops.eu/en/instantplay) on your smartphones or tablets. With hundreds of games from Realtime Gaming, you are bound to love its new Shanghai Lights (https://casino.intertops.eu/en/slots/350-shanghai-lights) during this month's celebration of urban life. Shanghai Lights' wild symbol appears only on the middle reel, but when it does it expands to cover the entire reel creating lots more opportunities for winning combinations. Three or more Scatters trigger five free spins and then three Super Spin free games where wins can be multiplied up to 5X, Wilds can triple wins, and entire reels can become Wild. Intertops Casino has been entertaining players all over the world for more than 20 years with a variety of games. "The more you play, the more points you win and the bigger your weekly prize," said Intertops casino manager. "But even occasional players can win prizes because we also do random draws for prize money every week!" $1000 in prize money has been put up by Intertops Poker and Juicy Stakes Casino for the Betsoft Slots Tournament this weekend. You earn tournament points when playing two of the most popular slots under the Betsoft tab in the Casino section of the poker rooms, Safari Sam and Stampede. Earn one point for every spin of $.10 or more on either of the featured games from friday, April 27 to Sunday, April 29. Accumulate the largest amount of points by Sunday to win the $300 first prize. Prizes must be rolled over at least once on Betsoft games in order to be withdrawn. 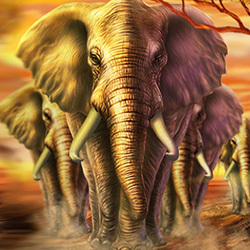 Safari Sam is a five reel, thirty line video slot, filled with action such as frequent free spins and an exciting bonus round. Stampede pays out for all combinations of contiguous symbols so there are 1024 ways to win. 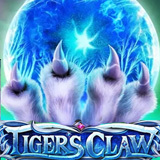 Scatters trigger up to 20 free spins – Wilds during free spins can multiply wins up to 3X. A series of online satellite tournaments that begin Wednesday at Intertops Poker and Juicy Stakes will send the winner to Velden, Austria this summer to compete in the prestigious $770K European Poker Championship. The $6500 prize package to be awarded at the Final on May 6th includes the $2700 buy-in to the Main Event and accommodation in the luxurious mountain resort. The European Poker Championship 2018 takes place in Velden from July 18th to 29th. It attracts professional and recreational players primarily from Austria, Germany and Italy. The prize pool for the Main Event beginning July 26th is estimated to be more than €700,000 ($770,000). 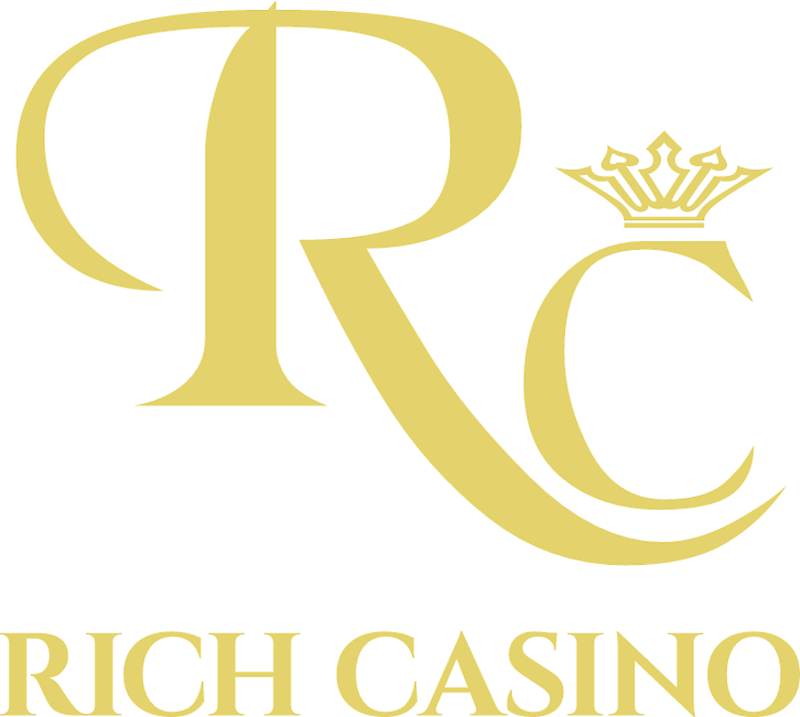 There are also many other tournaments during the week as well as cash games on more than 40 tables. In addition to their tournament buy-in and accommodation, the winner will also get $500 towards travel expenses and enjoy a welcome dinner with the Intertops crew. 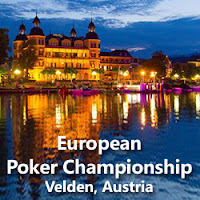 You can buy-in at any stage of the three-tier EPC Velden Satellite Tournament Series, or try to win your way to Austria for just the initial $3.30 Step 1 buy-in. You can register for the daily tournaments by clicking the Tournaments tab in the poker room lobby at either Intertops Poker or Juicy Stakes Poker. 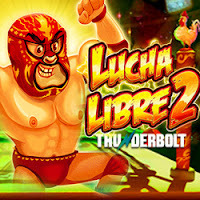 With Cinco de Mayo approaching, Lucky Club Casino is getting festive with Nuworks' new Lucha Muchacha slot. 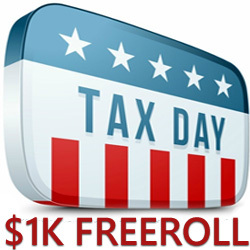 The metro-style casino is including 77 free spins and double deposits up to $777. Lucky Club Casino, which welcomes players from all over the world, has a huge selection of unique real money online casino games from Nuworks. Lucha Muchacha's variety of features include replicating Wilds. Its insane Super Spins can trigger Wild Reels, grouped top symbols, tripling Wilds and crazy Scatter pays. Three scatters trigger Muchacha Free Games where Wilds double wins. Free spins can be re-triggered up to five times. After five free games, Super Spin Free Games begin. Depending on how many scatters initially triggered the bonus round, additional Wilds are added and prizes are multiplied up to 3X. "This game's Super Spins are sizzling hot!" said Alex Hunter. "All those extra wilds and multipliers are going to make for some mucho grande payouts!" Available until May 15, 2017. 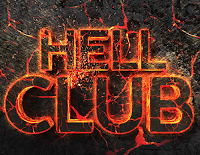 Hell Club, the dark and brooding online card room dedicated to popular game, Oh Hell, is set to launch a fiery new real-money format, Oh Hell Stackpot™. “Hell Club is thrilled to be launching its latest online card game innovation, Oh Hell Stackpot™”, Simon Ry, founder, Hell Club commented. 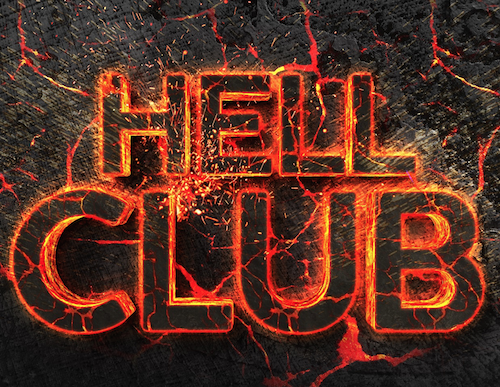 To mark the official launch, which is set for Sunday 22nd April at 6:00pm CET, Hell Club will host a Launch Party Freeroll with a prize pool of €1,000 up for grabs. "We believe that this game has the potential to be the next big thing after Poker, if it finds the right target group." "In Oh Hell, there is no such thing as a bad hand. Regardless of your cards, you can still make plays so long as you can predict the behaviour of your opponents. The game is played worldwide, and usually for fun." "The Stackpot™ model has taken out some of the flaws with Oh Hell and replaced it with a better system. It is no longer possible to zero-bid your way to victory, and it doesn't require you to play 20+ rounds to participate, if you don't have time." "Most other gambling games don't make much sense if you take away the money. They're often boring or even pointless. Introducing the betting aspect to a game that is fun to play without money will hopefully only enhance the experience." "On Hell Club, players can opt to play for fun or for cash. 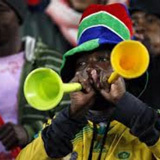 We believe both formats will be hugely popular, and look forward to receiving feedback from players." Oh Hell Stackpot™ will launch on Sunday 22nd April at 6:00pm CET. Hell Club will host a special Launch Party Free Roll with a €1,000 prize pot and a HellTicket giveaway for the top 20 players. HellTickets are worth €22 and can be used to enter the first Weekly Real Money HellTournament, which will start at 8:00pm CET on the day of launch. What is Oh Hell Stackpot™? Oh Hell is a trick taking game where each player guesses how many tricks they can take with their given hand, and then tries to take as many tricks as bid. The number of tricks per round changes according to a pattern, and each game is usually played to a predetermined number of rounds. The Stackpot™ concept is an original Hell Club invention. When applied to round-based games without a set number of winners, the wagered money that isn’t won stacks up in a pot on the table. It is later used to increase the value of winnings for subsequent wagers. Hell Club is offering Oh Hell Stackpot™ as cash games, Sit&Gos and tournaments. 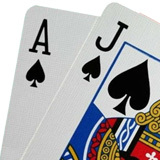 The table currency for the game is Hellcoins; to participate, players simply stake a number of Hellcoins equal to the number of tricks in the hand as ante. If they take the number of tricks bid, they will win back their ante plus additional Hellcoins per trick bid on. The larger the table pot, the greater the number of Hellcoins won per trick. Hellcoins: How is their value determined? For cash games, the value of a Hellcoin is determined by a table stake. For example, 1 Hellcoin can equal 1 Euro. In Sit&Gos, players buy-in and receive an amount of Hellcoins. The number of rounds to be played is pre-determined, much like in regular Oh Hell, but played with the Stackpot™ scoring system. For MTTs, the Burning Pot™ format is used. This is another Hell Club innovation and means that instead of limiting tournament length by slowly increasing table stakes like in poker, the table pot burns away a number of Hellcoins with each hand slowly decreasing the total amount of Hellcoins in the tournament. Lucha Libre 2, from Realtime Gaming, arrived today at Intertops Casino. The casino is giving introductory bonuses up to $500 that include up to 50 free spins so that you can try the new game. 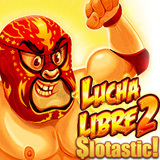 Just like in the original, the new Lucha Libre 2 has several bonus features to top up your winnings. Three Wrestler wild symbols on the middle reel multiply the win by up to ten times -- or they jump to other reels to possibly create additional winning combinations. Fist of Fury free spins are also awarded if Fist symbols appear with 3 wild Wrestlers on the middle reel. During these bonus spins, up to four reels, all Scatters, are held while the other reels spin. There are instant prizes to be won in the Time to Rumble bonus feature where you choose one of three moves for Taco Malo to use against his over-sized opponent. Choose from the Backbreaker, Facebuster or Piledriver. Choosing the right move wins bigger prize multipliers and more Fist of Fury free spins. The most trusted online and mobile casino, Intertops Casino has been entertaining players all over the world for more than twenty years with hundreds of games from Realtime Gaming. 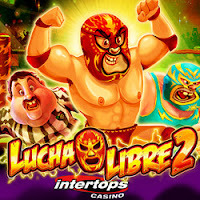 Intertops Casino is celebrating the launch of the new Lucha Libre slot with a choice of introductory bonuses that include up to 50 free spins. Available until May 6, 2018 only. Thunderbolt Casino launches Realtime Gaming's new Lucha Libre 2 slot tomorrow. The popular South African online casino wants to give you 30 free spins to try the new slot. In Lucha Libre 2 we see the return of everyone's favorite wrestler, Taco Malo, from the original Lucha Libre. We also meet his fearsome new competitor, Nacho Friend. In the final fight against Nacho Friend, you choose one of three hilarious new moves for Taco Malo to use. If he wins in the ring, you can then win bigger prize multipliers and Fist of Fury free spins in the bonus game. When Lucha Libre 2's Wrestler Wilds cover a reel, they either multiply wins up to 10X or they jump to another reel for more possible winning combinations. Three or more Scatter symbols trigger eight free games. During free games, all wins are doubled and Scatters trigger Bonus Picks. You choose gold coins to reveal prizes – up to 33 free spins with up to 15X multiplier. 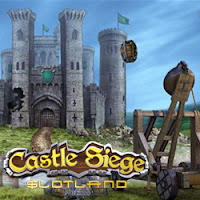 Slotland is taking you on an epic Medieval quest to destroy a castle and win its treasures with its action-packed new Castle Siege slot game. The new game has Sticky Wilds, three jackpots and a bonus game where you attempt to destroy the castle to win the local jackpots. Introductory bonuses are available until April 22nd include a $15 Freebie ($20 for VIP players) and a choice of deposit bonuses. Three or more Bonus scatter symbols start the Catapult Bonus Game where you try to destroy the castle and take its treasures. Destroying the castle wins one of the three local jackpots. The castle can be demolished one wall at a time or by hitting the Gunpowder Storage Tower. "The Catapult Bonus Game is a fun way to hit a jackpot – you choose your weapon and fire it at the castle!" said Slotland manager Michael Hilary. "The game's Mini, Major and Grand jackpots aren't just for fun though. The more paylines you play and the more you bet on them the higher the jackpots will be!" On special royal occasions, the castle's trumpets and red and blue flags are out. When they are, Wilds trigger free spins. During free spins, Wilds are sticky and also replicate themselves in other positions on the reels. Slotland has been putting smiles on faces all over the world for more than 20 years with dozens of unique real money online slot games. Slotland offers three cryptocurrency options for deposits and withdrawals: Bitcoins, Bitcoin Cash and Litecoins. Previous deposit required. 30X wagering requirement, 7X max. cash-out. From April 20 - 22, Intertops Poker and Juicy Stakes Casino are holding the Worldmatch 35% Cashback Weekend. From April 20 - 22, you can request a 35% refund on your last deposit if you bust it without winning. Any of the over 125 slots under the Worldmatch tab in the poker room can qualify for the refund, but three variations on the classic pub fruitie are featured: Fruits Evolution, Scary Fruits and the All Fruits. They are all HD games with beautiful big-screen images and effects and generous bonus features. All Fruits HD is a high-speed slot where three or more Free Spins symbols trigger bonus spins and Scatters win up to 5X multipliers. Fruits Evolution HD brings the classic fruitie to a whole new level of fun. In its bonus game, you choose coins to reveal instant prizes. Last month, Fruits Evolution HD was once again the most-played Worldmatch game in the casino. Scary Fruits HD has a Free Spin feature and a fantastic Stacked Wild. There's an odd assortment of fruit-flavoured monsters and a five-round bonus game. "Deposit bonuses are a good way to get some extra cash and extend your play time," explained Intertops Poker's casino manager. "But Cashback can be a better option for some people. If you deposit and loose you get an instant refund. Simple as that!" In addition to active online poker rooms with players from all over the world, Intertops Poker and Juicy Stakes also offer a wide selection of slots and other casino games from Worldmatch, Betsoft and Lucktap as well. Live chat is the recommended way for you to contact Customer Support, but Cashback refunds can also be requested by e-mail or telephone. 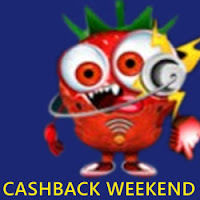 Cashback can be requested until Wednesday April 25. Play-through on this bonus refund is just 10X. There is no max cashout. 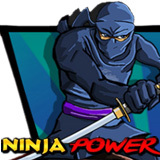 If you're a fan of Japanese anime, you're sure to enjoy the new Ninja Power slot at WinADay Casino. This action-packed new real-money online slot game has sticky Wilds, free spins with up to 50X multipliers, an'd a local jackpot up to $5000. This is the latest addition to WinADay's ever-increasing range of unique slots, available on mobile or desktop. In the past few months WinADay has made wins even easier for you, accepting digital currencies for fast-tracked transactions. Introductory bonuses are available until April 12th and include a $17 freebie and an 80% Crypto Match Bonus if you are depositing in Bitcoins, Bitcoin Cash or Litecoin cryptocurrency. A Ninja warrior can leap onto the screen at any time in Ninja Power. He helps create additional winning combinations by throwing his nunchacku weapon to nudge the reels into a new position. During free spins, the Ninja can randomly create extra Sticky Wilds. Bonus Scatter symbols can trigger free spins with up to 50X prizes. Ninja Power's Wild is a fierce dragon. Five dragons with a max bet placed wins the local jackpot which can grow up to $5000. During free spins, Wilds are sticky and remain for the next free spin. The max bet for this fast-paced game is only $8 per spin. Coins are valued at just a penny and players can bet from 40, 120, 240, 400 or 800 coins per spin. WinADay Casino has put smiles on faces all over the world for more than ten years with its unique slots, video poker, Keno and Roulette games. The unique online casino's friendly customer service staff is also world-famous. Available April 6 – 12, 2018 only. 27X wagering requirement; 6X max cash out; for Ninja Power only. For deposits of $25–$500 made in in Bitcoins, Bitcoin Cash or Litecoins. 35x wagering requirement; may be claimed twice; for Ninja Power only.